b. 28 Sept. 1735, 1st surv. s. of Lord Augustus Fitzroy (3rd s. of Charles, 2nd Duke of Grafton) by Elizabeth, da. of Col. William Cosby, gov. of New York. educ. Hackney; Peterhouse, Camb. 1751; Grand Tour (France, Switzerland and Italy). m. (1) 29 Jan. 1756, Hon. Anne Liddell (div. 23 Mar. 1769), da. and h. of Henry, 1st Lord Ravensworth, 3s. 1da. ; (2) 24 June 1769, Elizabeth, da. of Rev. Sir Richard Wrottesley, 7th Bt., 5s. 8da. suc. gd.-fa. as 3rd Duke of Grafton 6 May 1757; K.G. 20 Sept. 1769. Ld. of the bedchamber to the Prince of Wales 1756-7; ld. lt. Suff. 1757-63, 1769-90; P.C. 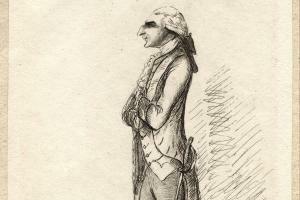 10 July 1765; sec. of state, northern dept. July 1765-Apr. 1766; 1st ld. of Treasury July 1766-Jan. 1770; chancellor of Cambridge Univ. 1768; ld. privy seal June 1771-Oct. 1775, Mar. 1782-Feb. 1783. 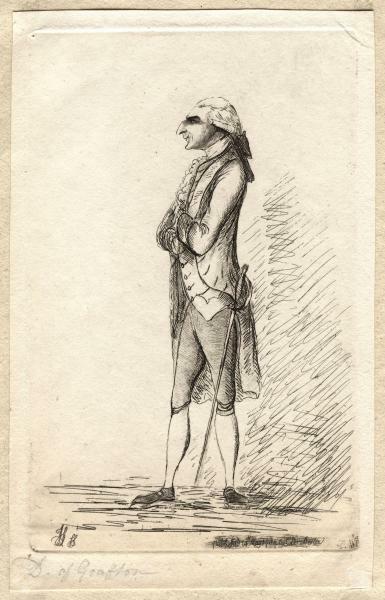 The most important years of his political career were from 1765 to 1770, when he was secretary of state under Rockingham and first lord of the Treasury in the Chatham Administration. Immature, sensitive, and uncertain, he feared responsibility and lacked authority; as first minister after Chatham’s resignation he held a post for which he was totally unsuited, and his Administration was a disgrace to himself and a disaster for the nation. In his old age he composed an autobiography, parts of which, based on contemporary correspondence and memoranda, are of great value. Grafton died 14 Mar. 1811.